Ok, so if any of you follow me on Instagram (shameless plug) you will be well aware that I am a lover of all things white. The lighter the brighter, it is truly my favourite colour. It's one that is timeless I am sure most, would never tire of. 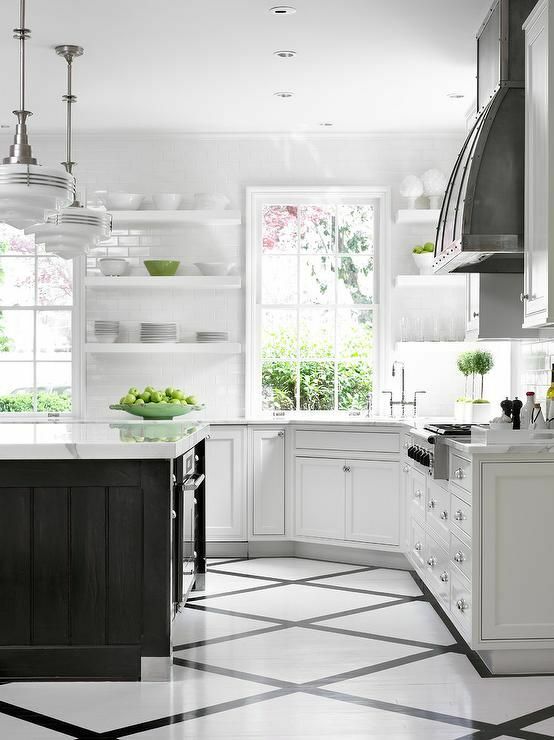 When it comes to kitchens, I love them light and airy and nothing helps achieve this look better then the colour white. Having negative space in light colours gives the eye a place to rest and really helps the light reflect and makes a space feel a lot bigger. 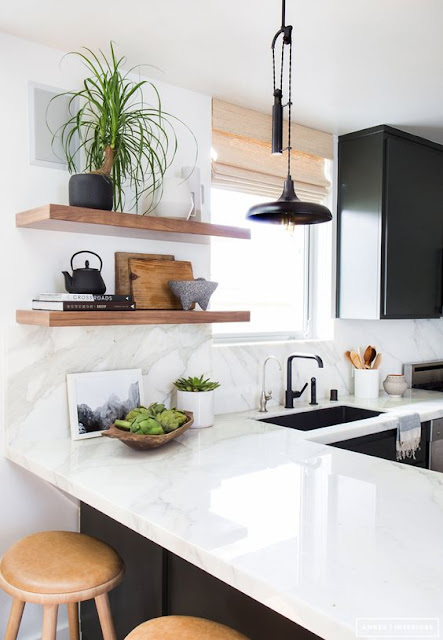 Two of my favourite colour combinations in kitchens is black and white, it's a simple contrast that really works in so many way depending on the vibe you are going for. 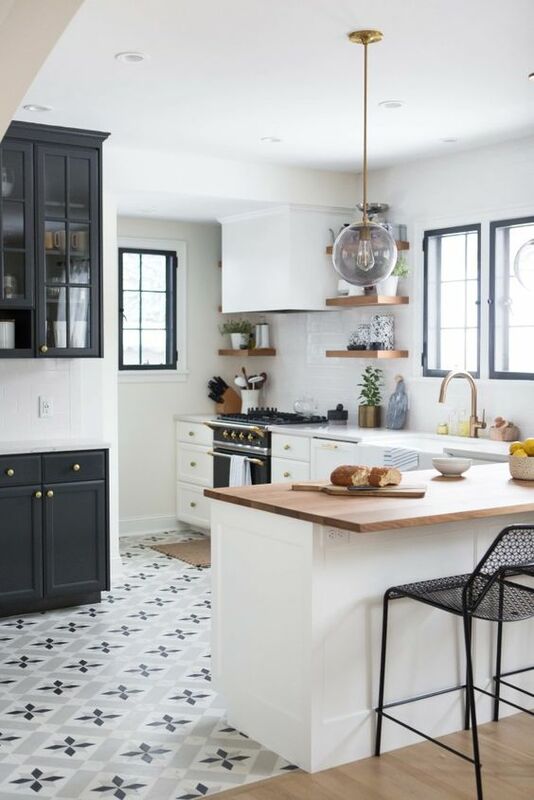 So I thought I would share some lovely "Pinspiration" today of some total drool worthy kitchens that I feel do the black and white thing just right. 1.) When looking for contrast in the kitchen doing a darker island is a great way to add some depth but not overly darken the room as a whole. Keeping the counter tops in a light shade helps balance it out and really grounds the space. 2.) 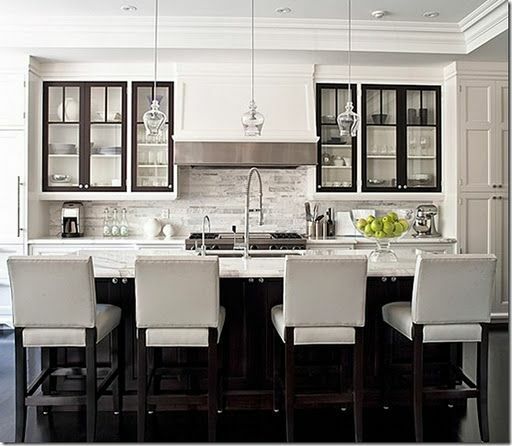 A great way to bring in some subtle contrast is to do so by adding a darker counter top and/or dark hardware on your cabinets. This gives a great modern look but everything still feels very bright. If you are thinking of doing a dark counter top but you still want the overall feel of the kitchen to be light I suggest keeping your back splash a light, neutral shade so that it doesn't draw the eye and compete with the counter. 3.) Bringing in some contrast doesn't mean you have to go for black. 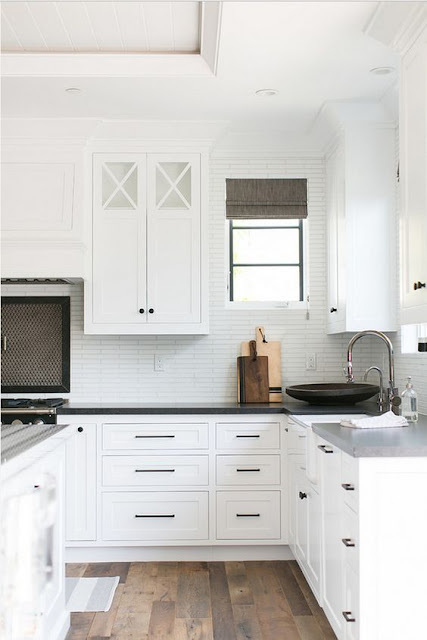 Doing your lower cabinets in a charcoal like pictured has the same affect but is a little softer on the eye and not quite as harsh. 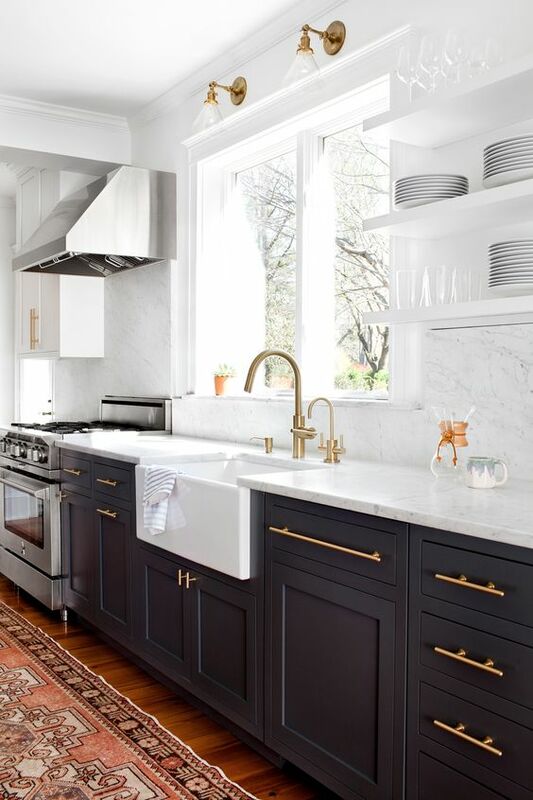 I love the combination of the grey on the bottom with the brass hardware, it looks rich and because the top cabinets are white, along with the counter top and back splash, the overall feel is still light. 4.) If you didn't want to fully commit to having full dark cabinets you could always do a small off section in a darker tone. This again will still keep the overall feel very airy and fresh but gives you a bit of contrast. Or you could do a fun contrasting floor tile or back splash paired with your light cabinetry. 5.) Opting for a contrasting front cabinet with glass will give you a modern look without being too over the top. The great thing about just your doors being dark is that if you ever change your mind they are simple enough to swap out for a minimal cost. We offer Concrete Countertops, Polished Stained and Stamped Floors, Concrete Sinks, WaterFalls & Fire Features, Pool Patios and Driveways and other designs that are truly each one of a kind. Our team will make sure that your dream becomes a reality.